In this major work, Paul Motwani, the author of the critically acclaimed “H.O.T. 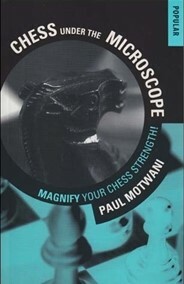 Chess”, looks in-depth at key aspects of chess. His witty style will not only amuse but will instruct the reader by providing memorable insights into chess secrets. The many well-annotated, exciting, attacking games are instructive model examples which have been carefully chosen to increase the chess knowledge, understanding and enjoyment of players of all standards. Read this book if you want to magnify your current strength!